It is a challenge for many healthcare organizations today to envision how an investment in facility can keep pace with the ever-changing marketplace. Strategic planning efforts typically look to a three- to five-year horizon, while master facility planning often takes on a ten-year cycle. This mismatch in planning timelines often becomes even more challenging for hospitals and health systems given the recent pace of changes in the healthcare landscape. The shift to the outpatient care setting for many surgical procedures, the intensifying inpatient technologic changes across multiple specialties, the incorporation of physician practices across the full continuum of care spectrum, and the growing focus on the patient and family as healthcare consumers are just a few of the changes that must be considered. Corazon believes that organizations must anticipate how these changes will affect not only day-to-day operations, but also the complexity of the decisions and plans for facility additions, upgrades, or full replacement of specific equipment. As Corazon works with clients across the country, we often facilitate discussion related to strategic planning across the niche services of cardiovascular, neuroscience, and orthopedic care, along with the associated facility needs of an organization. When discussing facility requirements, our team often challenges key stakeholders to put on “vision goggles” to imagine what the facility would look like if building from the ground up. Although most organizations do not have the luxury of a full “re-do”, this exercise often allows planning participants to think outside the box and challenge existing constraints. The backdrop of new healthcare delivery models (e.g., outpatient hip replacement, neurointervention for stroke patients, catheter-based heart valve replacements) can be overlaid against current conditions and new planning assumptions. Given that most major facility investments need to support a 20-year outlook, planning for the future with some degree of flexibility is a must. What follows is a summary of Corazon’s top tips and best advice related to building facilities for the future. Planning starts with strategy, but the devil is in the details. The process should start with a solid strategic plan. This effort requires intense communication between service line leadership—both physicians and administrators. 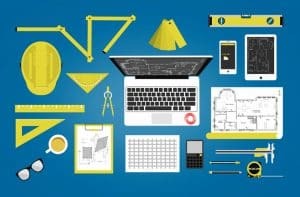 Then facility design, equipment purchase, and process re-engineering must be coordinated to assure that the organization is building for the future. In order to carry-out the vision, the key stakeholders must understand and articulate ‘what’s in and what’s out’ based on the projected patient volumes/case growth (%), hospital physician recruitment goals, and community need, including consideration for any missing services. This process must be supported by a solid business plan, a pro forma that includes bricks and mortar investments, and a timeline for facility development. Many health systems today are also challenged to carefully evaluate service mix, assess duplication, and distribution of services across health system hospitals. These considerations could lead to difficult decisions to divest/consolidate based on broad-based community need. Do not build for current process—instead, redesign space with end point of new workflow in mind. Many organizations mistakenly think that a new facility will solve all existing issues. BUT, new facilities cannot fix bad or broken processes! When faced with the opportunity for new facility design, Corazon recommends lean workflow design. The intent is not to transpose current processes to new space, but rather evaluate whether new processes are needed to optimize the new space. This idea challenges front-line caregivers to envision a best practice care model that takes into consideration multiple perspectives across the care delivery continuum. A plan to re-imagine workflow and build the facility with ideas that allow all to benefit from the increased intra-inter specialty collaboration is ideal. Build for the future with flexible space. It is always important to consider future technology and plan for the next “chess move.” Examples of this concept are assuring that operating rooms have enough square footage and ceiling height to add or convert to hybrid X-ray technology in the future, or including conference room soft space that can be converted to a 3rd Catheterization Lab as program growth supports the addition. Our team advises room mock-ups as a useful technique to challenge clinicians to think differently about care delivery. This exercise is more than just getting the size of the room correct. It is about assessing patient flow (in and out), evaluating clinical equipment placement, re-designing care processes, and understanding more efficient IT solutions for documentation and communication. Considering all these aspects of the facility will assure the best return on the significant time, resources, and dollar investment of the build. The setting of care requires careful scrutiny from a business and clinical perspective. The shift to outpatient care has had a tremendous impact on the overall bed needs of an organization. This change must be evaluated with the overlay of mandated observation (OBV) status for some patients who are classified as OBV outpatients, but actually can be in a patient bed for up to 48 hours. Careful evaluation of this new patient population type and a match with appropriate facility and care delivery processes can be essential to delivering cost-effective quality care. Many organizations are implementing Observation or Clinical Decision Units as a way to manage this patient population effectively. Additionally, the Ambulatory Surgery Center (ASC) is emerging as care model that can support many procedures that have traditionally been within the purview of acute care. Spine surgeries, hip and knee replacements, and even vascular interventions in some states are now being safely performed in this setting. Organizations must be fully aware of CMS requirements, Department of Health (DOH) regulations, and accreditation requirements for service delivery in non-traditional spaces. Additionally, site-neutral payments may affect decisions about imaging and ambulatory surgery service distribution and the associated facility requirements. A focus on transformative service offerings must be considered when planning facilities for the future. Telemedicine is a transformative service on the horizon. The impact of teleneurology, e-ICU, and cardiac telemedicine services is already evident in many healthcare organizations across the county. Telemedicine extends often limited physician expertise to hospitals that may not have those resources available on-site. A neurologist’s ability to perform a full neurologic exam remotely and advise the local Emergency Medicine physician about their ability to safely administer clot-dissolving medication to a patient experiencing stroke symptoms is a growing expectation related to standards of care in the community hospital. Corazon believes that telemedicine is poised to be the infrastructure that extends advanced care deeper into many communities, especially in more rural locations. Our team has seen evidence of its impact on stroke care at many community hospitals and it is saving lives! Focus on all patient entry points to the healthcare system to eliminate barriers to access. Evaluation of the “top of the funnel” for each service can be accomplished by considering important entry points such as the emergency room and diagnostic testing areas. To become a premier center and offer highly-advanced services requires an integrated care approach. Often, clinically complex services (e.g., TAVR, complex heart failure, and electrophysiology care) attract patients from afar. This mandates a patient-centered care approach that encourages multiple evaluations in the same visit with an itinerary for the day and a plan of care determination prior to leaving. This concept requires a re-think of processes, but could result in a new facility one-stop design approach. Carefully consider decisions about renovation vs. replacement. Organizations are often challenged to prioritize capital resource expenditures across competing patient care needs and service lines. When considering these decisions, questions related to new construction vs. facility modernization must be considered. Often, renovation and expanding the current facility takes less time and cost than new construction, allowing for earlier market impact. One illustration of facility design that has achieved traction in health systems is the brick-and-mortar comprehensive spine center. A well-designed spine service can be successful, offering a one-stop-shop of spine care via a very compelling model that takes advantage of proximity of key services and efficient multidisciplinary scheduling. To achieve a viable spine center requires careful attention to understanding key specialists and their facility and equipment needs. In this case, specialties typically include surgery, physiatry, imaging, rehabilitation, pain, neurodiagnostics, chiropractic, and alternative and complimentary services (massage, mental health services, etc.). For spine, imaging and neurodiagnostics are especially important, as they often drive initial clinical interventions. With 90% or more patients initially needing non-surgical intervention, co-locating rehabilitation and pain management in a spine center makes clinical, operational, and financial sense. This is just one example of how a clear and solid plan can serve a hospital and its patients well into the future. Consider Electronic Health Record (EHR) implications early in the building process. Considerations for efficient processes for registration and EHR integration across the whole care continuum are essential to acute care delivery, ambulatory practice, and the physician practice setting. Consumers and caregivers should benefit from the power of new integrated information technology (IT), and not be burdened by duplicative and time-consuming processes. Our experience is that healthcare organizations that devote up-front attention to the integration of the IT processes into new care delivery and facility designs can benefit from the resulting efficient processes. Create a patient and family advisory council to assure there is a focus on the patient experience. Today’s healthcare consumer has many choices and their perspective can influence an organization’s ability to capture and keep patients and families engaged in their system of care. Sometimes a smaller more intimate waiting room space is all that’s needed to increase satisfaction. Our team also advises to include the perspective of staff and physicians as end users, as they often have choices where to practice within a community. Creating a formal forum to incorporate end-user feedback (and not just from the patient) can be essential to an effective facility design. Focus on population health and how new models of care will shift. Wellness centers, yoga and cooking classes, smoking cessation and weight management classes, and women’s heart health programs are all great concepts that support a focus on population health. Although the there is considerable focus on these programs, the current reimbursement model is not yet aligned with this concept, which can be a conundrum for organizations trying to justify space, facility, and programming resources of this type. Likewise, patients and programs have benefited from the addition of risk assessment and patient optimization clinics. In Corazon’s experience, optimizing the elderly population through pulmonary hygiene, nutritional support, smoking cessations, and increased exercise tolerance prior to knee or open heart surgery can have a huge impact on outcomes. Our team believes the most successful facility build or modification projects are those that deliver a clear message to the community (including medical staff) related to facility additions and/or service consolidation. Investments should be justified with a patient focus and community need top of mind. Overall, facilities that are modern, efficient, but not necessarily lavish often provide a branding and differentiation opportunity in an increasingly competitive landscape. In fact, for many cardiac, neuroscience, and orthopedic centers, new facilities can create an edge in the marketplace— a new ‘front door’ presence, and the image of convey a top-notch brand of healthcare will position a hospital for growth in volume and community perception. Facility additions and upgrades can also convey a ‘Center of Excellence’ concept that negates the need for patients to travel outside the community for care…keeping those patients close to home. Susan N. Heck is Senior Vice President for Corazon, Inc. Corazon offers consulting, recruitment, interim management, and information technology services to hospitals and practices in the heart, vascular, neuro, and orthopedics specialties. Find Corazon on facebook at www.facebook.com/corazoninc or on LinkedIn at www.linkedin.com/company/corazon-inc. To learn more, call 412-364-8200 or visit www.corazoninc.com. To reach the author, email sheck@corazoninc.com.